• Up to the limit COR face design maximizes ball speed. • High-MOI head design provides forgiveness and stability. 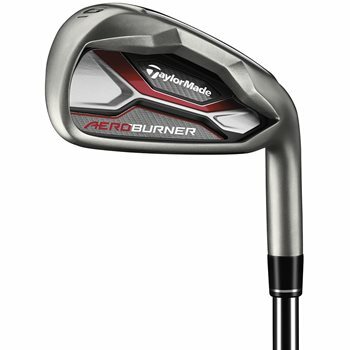 • Optimized loft and CG placement on each iron for consistent, powerful shot-making. • Speed Pocket is configured for high launch and more ball speed on low-face mis-hits. • Long blade length, offset and thick top line gives the golfer maximum confidence at address. • Dark, matte head finish for reduced glare and sleek look.